Our final night at Pinchollo was spent at a bonfire organised by Señors Martin and Franklin, and the maestros who oversaw the work at the primary school. It was an enjoyable night, with music from both cultures to entertain us, and bountiful amounts of popcorn and marshmallows! Early the next morning we set off on the long journey to Camp Titicaca – it was a relief to arrive after so many hours on the bus. We were greeted by the locals who encouraged us to join in with a traditional dance. The next morning we set off bright and early on the boat journey to Uros, one of the floating islands in Lake Titicaca. Visiting the island was fascinating, as we learnt about the island, how it is upheld, and the running of the island. After a chance to explore, buy crafts and even take a trip in their taxi boat, the ‘Mercedes Benz’, we set off on another journey to one of the biggest islands in the lake: Taquile. After a gruelling uphill 30 minute trek on the island, we finally arrived at the main town on the top. There we had a delicious lunch, and after a short time to explore, we had an hours trek to our campsite: a beach at the other end of the island. The team had to pitch their own tents! After pitching our tents, many people paddled in the lake before tea. As it got dark fairly early, we were able to do some fantastic stargazing before an early night. The view to greet us the next morning was the sunrise over the lake, which was spectacular and a real treat to witness. 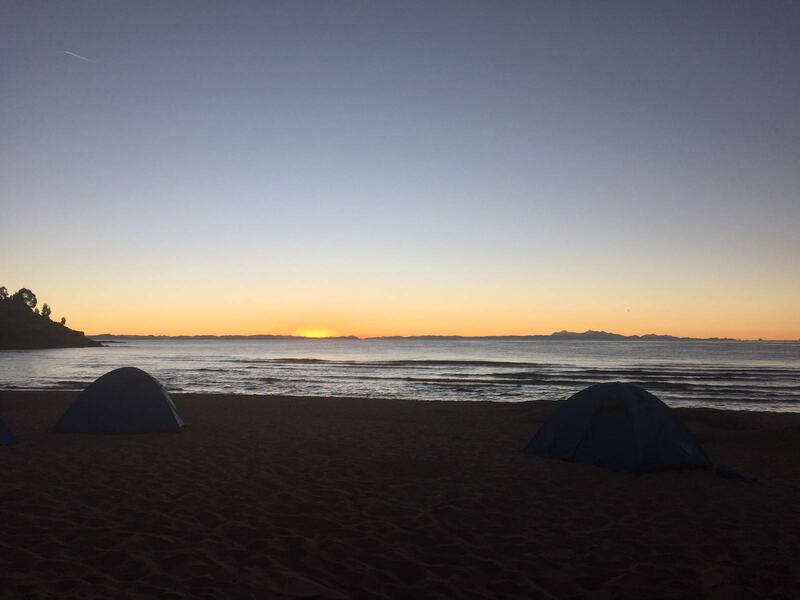 Once we’d sailed back to camp, we had the rest of the day off, so everyone unpacked properly and cleaned their clothes. Project work began the next morning; our projects were much smaller than at Colca, which meant we could actually see the benefits of our work. Whilst we were there, we built several animal shelters, and on our final day we had a brick making competition, where we managed to break the high score and make about 200 bricks in a day! 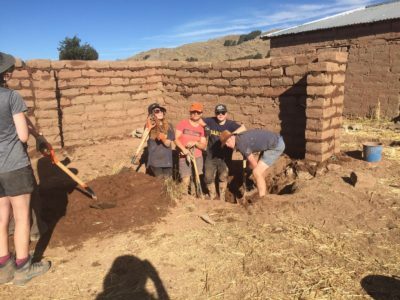 Whilst at Camp Titicaca, we celebrated two birthdays: Hattie turned 17, and two days later Natalie turned 16. The kitchen staff helped us celebrate by singing Happy Birthday in Spanish, and providing us with delicious cakes on both days. On Thursday 28th July, we celebrated 195 years since Peru gained its independence. The Camps staff put on a wonderful celebration for us – all the traditional dances from the area were performed, and afterwards we were treated to a delicious buffet of traditional Peruvian dishes. Another mentionable highlight of Camp Titicaca was our emphatic win of the volleyball championships against other teams, with the prize of cake at the end! 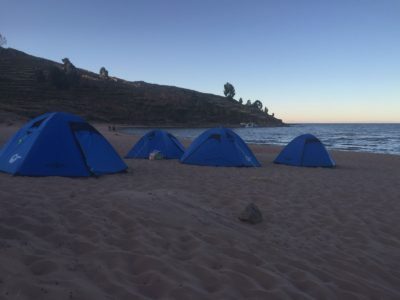 I have some wonderful memories of Camp Titicaca, and am extremely excited for Camp Moray. Fab write-up Rebekah. Feel like we were there with you. Can’t believe that you would be in a winning sports team! Peru is definitely life-changing for you!